It’s hard to believe it’s been nearly two years since Maptime had our very first, very small meeting. It all started at State of the Map US 2013, when Alyssa Wright gave a talk on the staggering lack of diversity in OpenStreetMap contributors. I had a feeling that was the case, but really had no idea about what the numbers were – and they were stark! It seemed clear that if he who makes the map holds the power, I wanted to be a she who makes the map, and to make the process of open source mapmaking inclusive to people regardless of gender, color, or anything else for that matter. And so Maptime was born. Once cofounders Alan McConchie and Lyzi Diamond came on board, our growth picked up some serious speed – not just in San Francisco, but all around North America. By the time we made it to State of the Map US in 2014, there was enough national interest to host our own Birds of a Feather gathering. There, we worked with the community to define what Maptime is, what it’s not, and got an idea of all the communities interested in hosting their own educational, open-source gatherings. We were amazed that people from eight cities wanted to join in! One year later, Maptime returns once again to the mothership. Instead of just gathering for an hour, we’ll have a whole day to meet each other at our own Maptime Summit, learn about our challenges and success stories, work on ways to better share our resources, and basically nerd out on all things Maptime. This. Is. Huge! Maptimers see each other at conferences here and there, and Lyzi even invented a method where our community members and supporters sport rainbow stickers so Maptimers can find one another. But this Summit is the first time ever where we are calling all our chapters, from all around the world, to come together, meet each other, and collaborate. We know it’s not going to be possible for everyone to come, which is why we’re accepting donations for Maptime scholarships along with ticket purchases. We’re also on the hunt for patrons to help us with the cost of snacks and other essentials that will come up during the day. If you are interested in supporting the Summit financially or otherwise, please drop us a line at hello@maptime.io. If you organize a Maptime, go to Maptime, sponsor a local Maptime, love open source geo education or are even just curious about what the heck is this thing called Maptime, we want YOU! To come to the Maptime Summit! And of course, come to State of the Map US 2015! It’s been part of our story, and the birthplace of our community, since the very beginning. We hope this year together will be the best. 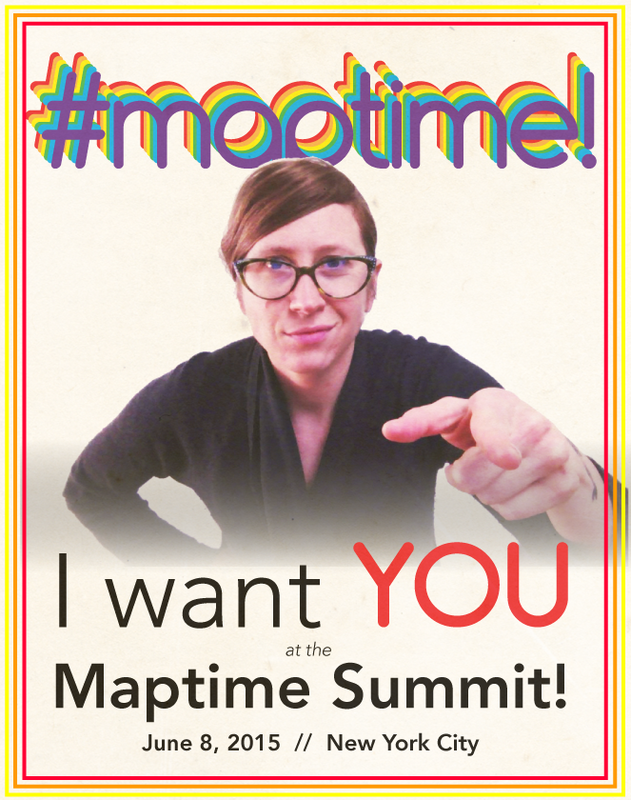 Get your ticket to the Maptime Summit! See you in New York! 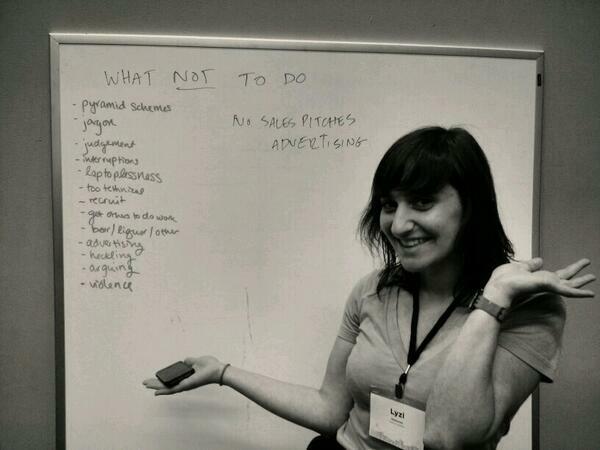 Beth Schechter is co founder of Maptime, a global learning community for map making. She works on education and outreach at Stamen Design.